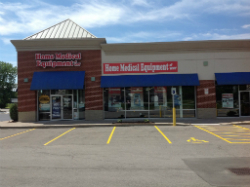 When Western New Yorkers find themselves in need of medical equipment, hospital supplies, and more, they know there is only one store they need to visit: Home Medical Equipment of WNY Inc. From our store in Depew, NY, we are able to proudly serve the entire Western New York area. We are your single source for medical equipment for people of all ages and needs. Our 4,000 sq. ft. location first opened in 2012, and we have been proudly serving Buffalo, NY’s needs ever since. Our store is staffed with trained professionals who understand how important it is to find the right medical equipment for your condition. Whether you are shopping for yourself, a loved one, or a patient, rest assured we will find the right equipment to allow for the best quality of life. Visit us today to see our full selection, or give us a call if you have any questions. 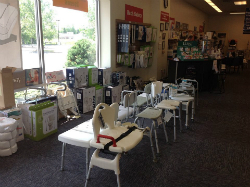 There is no place in Western New York that has a better inventory of durable medical equipment and supplies than Home Medical Equipment of WNY Inc.
Let’s start with mobility equipment. We understand how important it is for our customers to get moving so that they can lead full and happy lives. 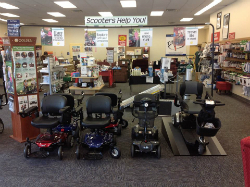 Because of that, we stock a wide range of mobility scooters, wheelchairs, walkers, and more. We’ll do whatever we can to help you move and enjoy life! We also sell a wide variety of equipment designed to make life easier at home. We have everything from braces, compression stockings and CPAP machines to home safety supplies like transfer benches, bed assist rails, and more. If you need medical supplies to keep you safe and control your symptoms, you can find them with us. The right medical equipment for your needs is right around the corner! We look forward to serving you and answering all of your questions here at Home Medical Equipment of WNY Inc. Call us to learn more, or pay us a visit today to see our full selection.